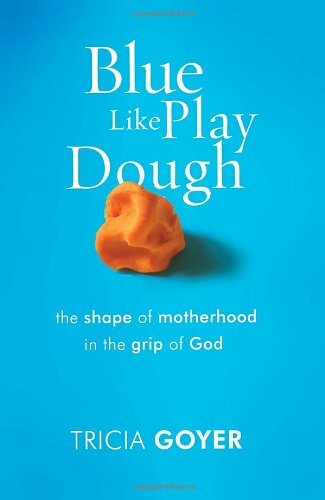 Award-winning author Tricia Goyer shares her unlikely journey from rebellious, pregnant teen to busy wife and mom with big dreams of her own in Blue Like Play Dough. In the everyday stretch and squeeze of motherhood, Tricia Goyer often feels smooshed by the demands of life. Sure, life is messy and beset by doubts. But God keeps showing up in the most unlikely places: in a bowl of carrot soup, the umpteenth reading of Goodnight Moon, a woe-is me teen drama, or play dough in the hands of a child. As her story unfolds, Tricia realizes that God has more in store for her than she has ever imagined possible. In Tricia’s transparent account, you’ll find understanding, laughter, and strength for your own story. And in the daily push and pull, you’ll learn to recognizes the loving hands of God at work in your life and know He has something beautiful in mind.